We're going to look at each pronunciation sounds in more detail with videos and examples. 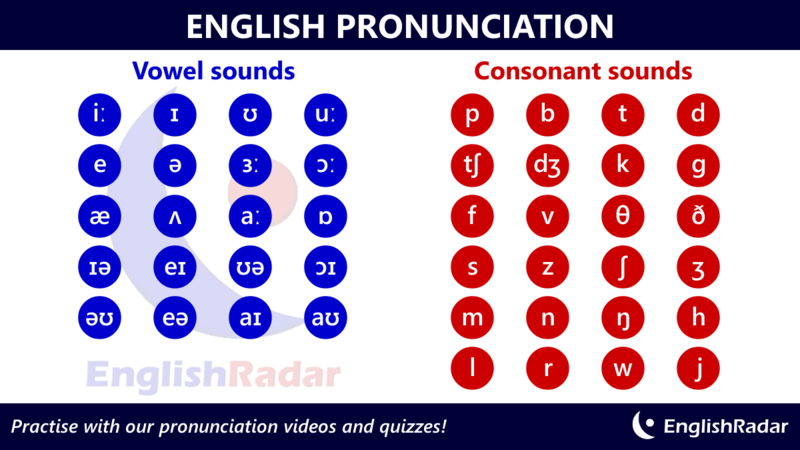 What are the 44 pronunciation sounds? Here are the symbols for the different sounds. 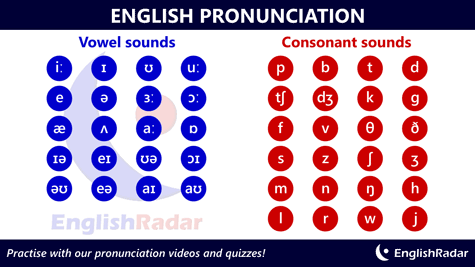 The 44 pronunciation sounds (or phonemes) can be written with phonetic symbols. We have divided these into vowel sounds and consonant sounds in our phonemic chart. Our phonemic chart shows the symbols for all of the vowel sounds and consonant sounds in British English. Just click to enlarge or print! You can learn all the different sounds with our videos! Watch the introduction to our English pronunciation sounds course. get examples of the different possible spellings. take quizzes to check your understanding. Just click on the buttons below for pronunciation videos about English vowel sounds and English consonant sounds, or to find out more information about our English courses to develop your English pronunciation and fluency. 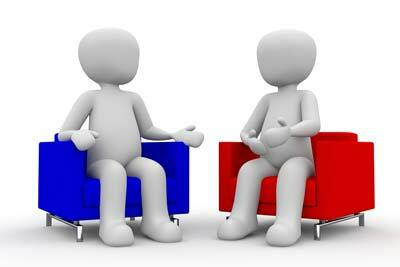 We recommend that you watch our videos to listen and repeat the English pronunciation sounds. You can compare the different sounds and practise speaking yourself. Our examples words and quizzes can help you to develop your English speaking and listening skills and your spelling too. To develop your fluency we recommend English communication practice, because it is better to practise the sounds through conversation. We offer private English courses in Munich to individual students and groups, and you can request that we focus on English fluency and pronunciation with our British English pronunciation specialists. We hope you enjoy our course and please share online.